instant oats dosa recipe | oats masala dosa | oats dosa with aloo bhaji with step by step photo and video recipe. 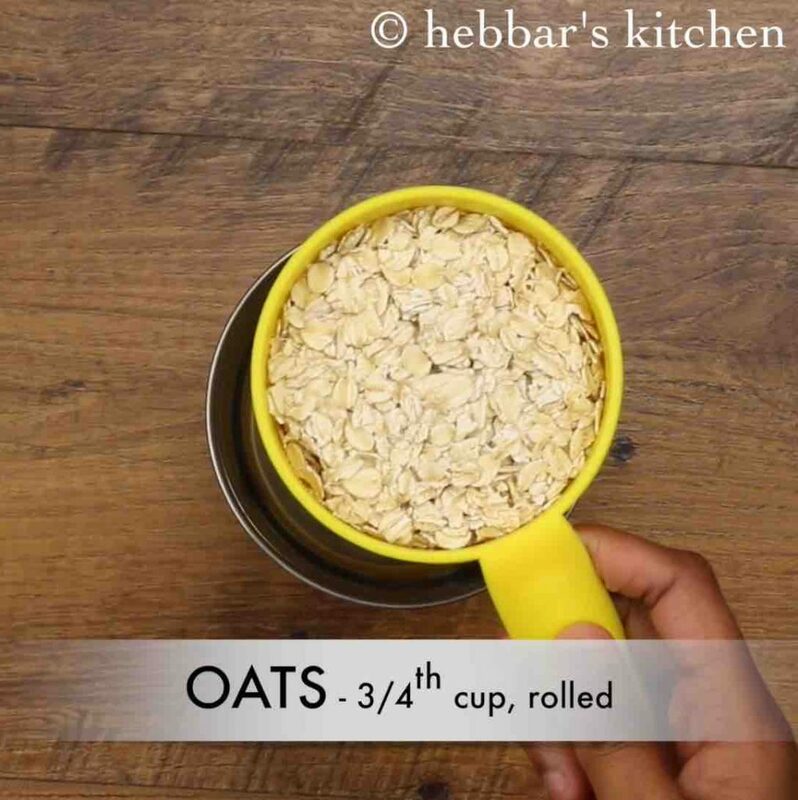 oats recipes are always considered as healthy and nutritional and hence consumed on a daily basis especially for breakfast. but it can be monotonous and you may crave for traditional south indian breakfast recipes especially during weekend. 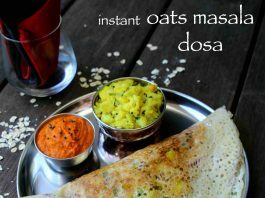 instant oats dosa recipe is an ideal recipe which can be prepared without any hassle. honestly, i am not a big fan of oats recipes and i generally avoid having it for my breakfast. basically we both (me and my husband) do not like to have a sweet or cold dish for our day to day breakfast. the most common recipe with oats are to mix it with milk or thick curd and serve it with fruits topping. i totally agree that it is a complete meal in terms of nutrient and proteins but it is just not for us. having said that, i do not neglect the oats and i typically absorb it in my kitchen by preparing oats upma, dosa and oats idli’s from it. it may not have the same taste and texture compared to the traditional recipes, yet you would not regret it. moreover oats masala dosa is very similar to the popular rava dosa and it shares the same texture and taste. the recipe for oats dosa recipe is extremely simple, yet some tips, recommendations and serving suggestions for it. firstly, in this recipe i have added potato masala or aloo masala at the end of dosa recipe and is completely optional. 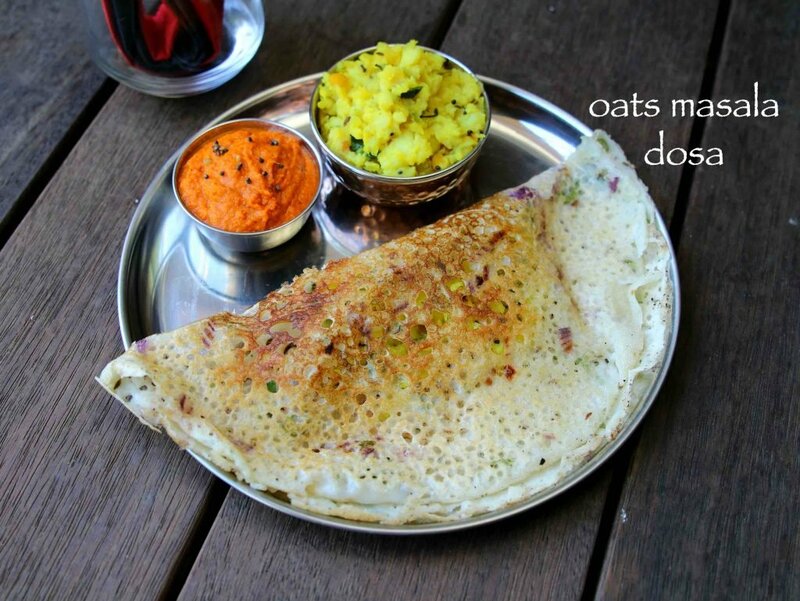 it can be totally skipped and you can just prepare plain oats dosa and enjoy it with chutney and sambar. secondly, the batter for oats dosa has to be very thin similar to rava dosa or neer dosa. 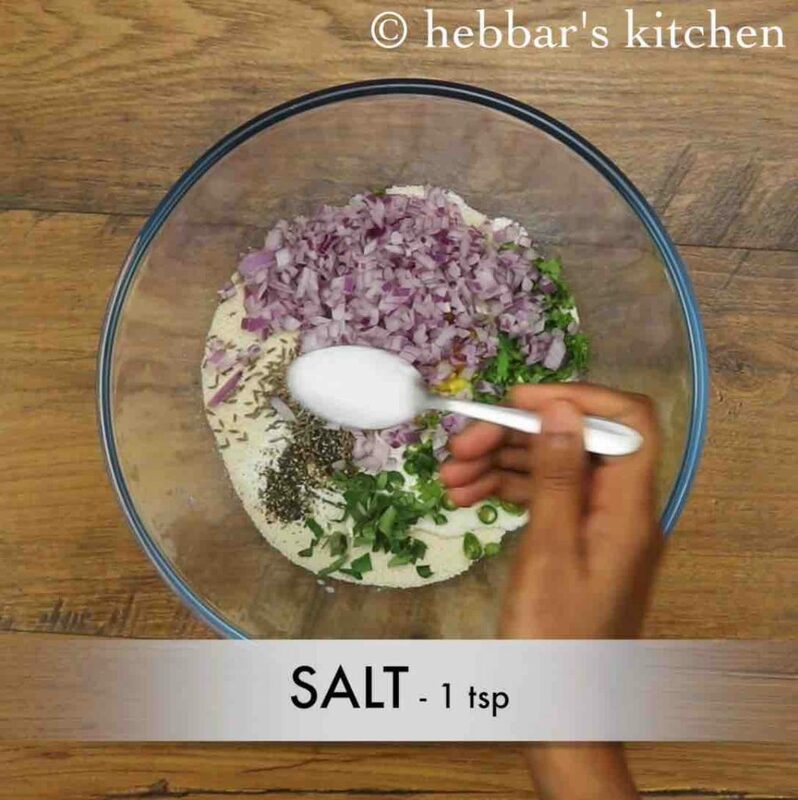 also you have to pour it on hot dosa pan and fill the space and not spread like a traditional dosa. finally, the dosa has to be crisp and if you are using a traditional cast iron tawa, it would turn crisp automatically. but you can also use non stick pan which may not have the same crisp level. 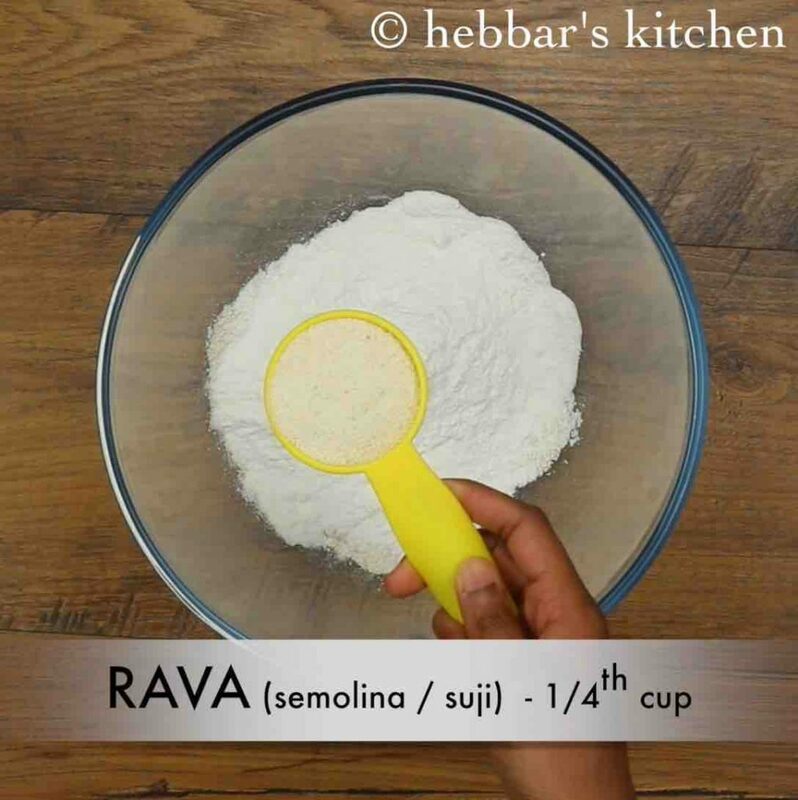 firstly, take ¾ cup powdered oats, ½ cup rice flour, ¼ cup rava and ½ cup curd. now add 1 tsp jeera, 1 inch ginger, 1 green chilli, few curry leaves, ½ tsp pepper, 2 tbsp coriander, ½ onion and 1 tsp salt. 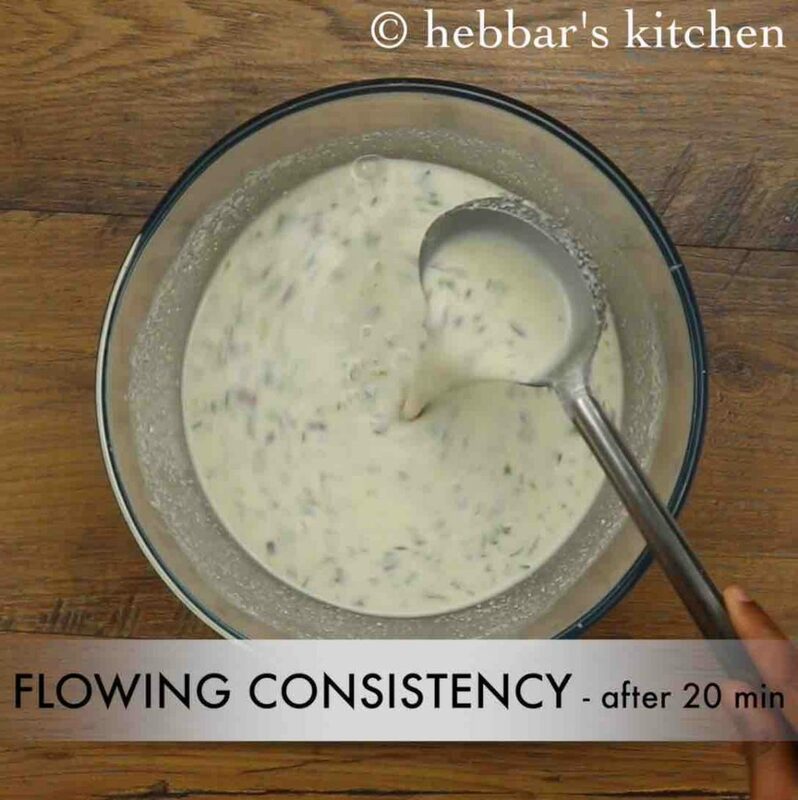 add 3 cups of water and prepare a flowing consistency batter. 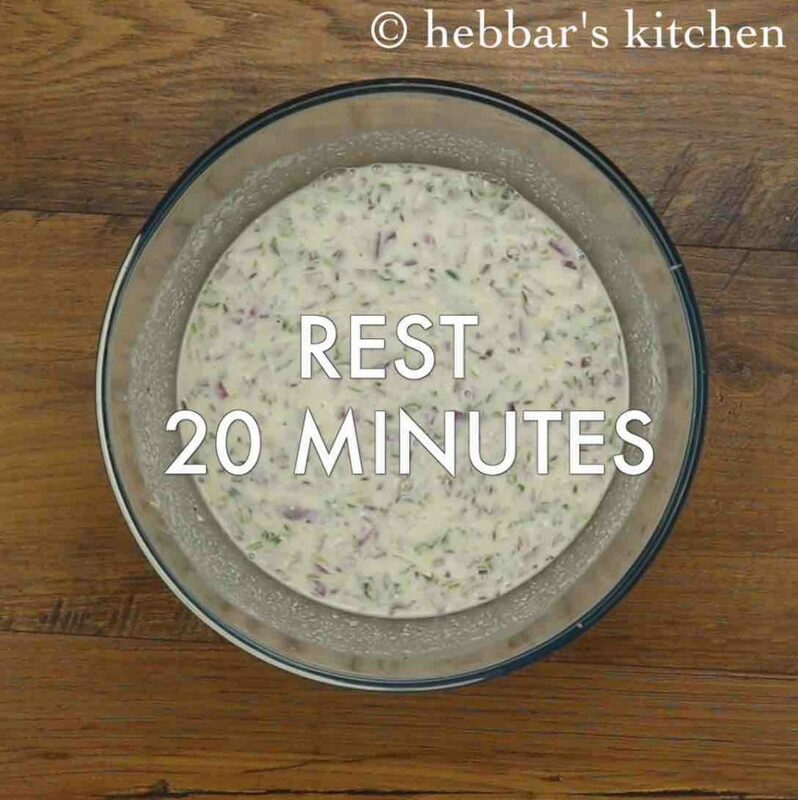 rest the batter for 20 minutes. 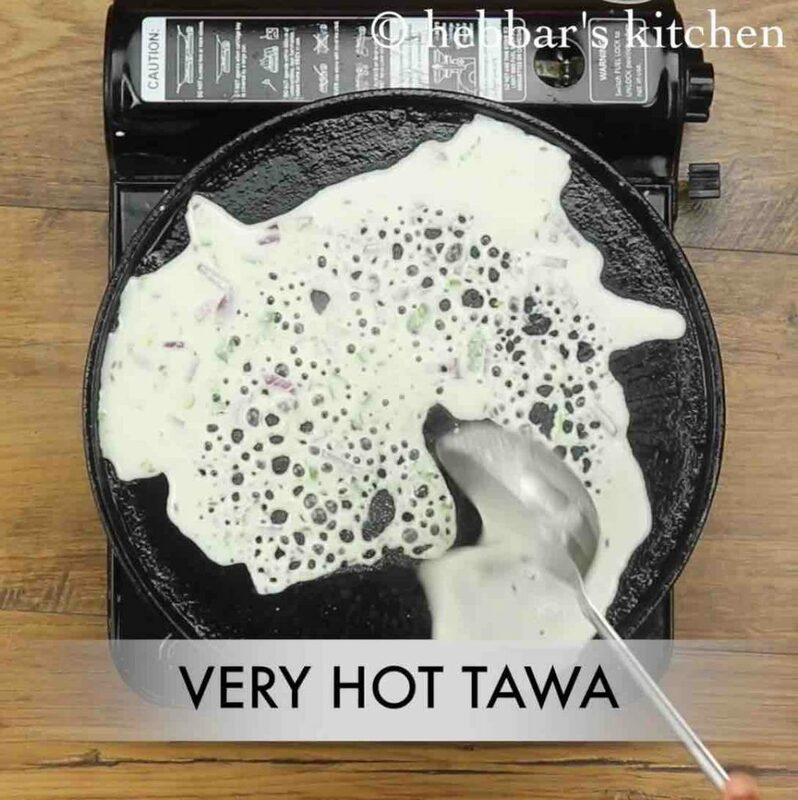 now carefully pour the dosa batter over hot tawa. 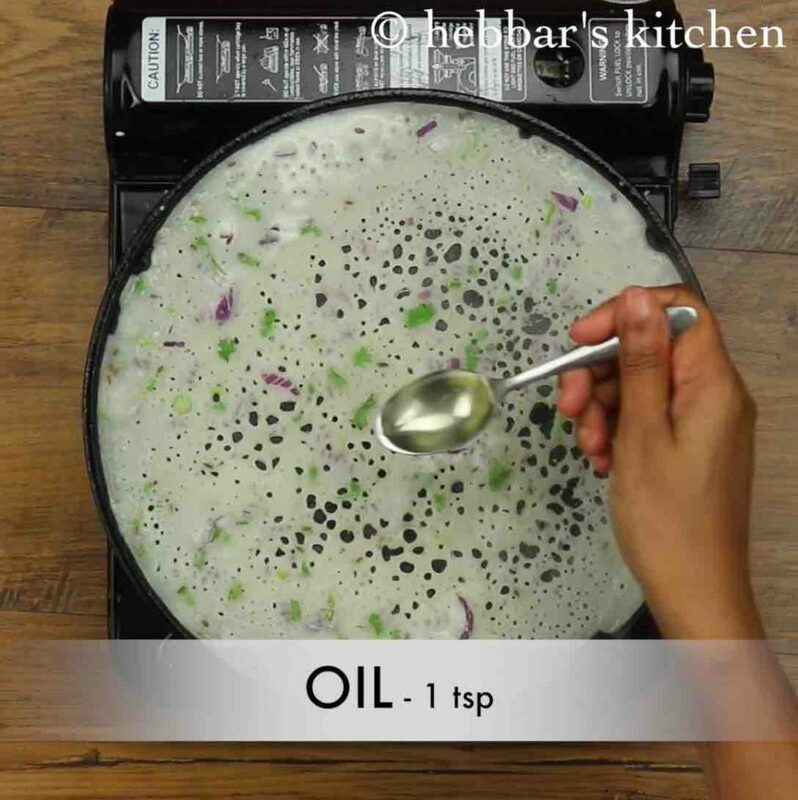 sprinkle ½ or 1 tsp of oil from the top. once the dosa roasts to golden brown, add in a tbsp of aloo bhaji. finally, fold the dosa to half and serve instant oats masala dosa immediately with coconut chutney. firstly, take ¾ cup rolled oats and powder them to fine powder. in a large mixing bowl take ¾ cup powdered oats, ½ cup rice flour and ¼ cup rava. 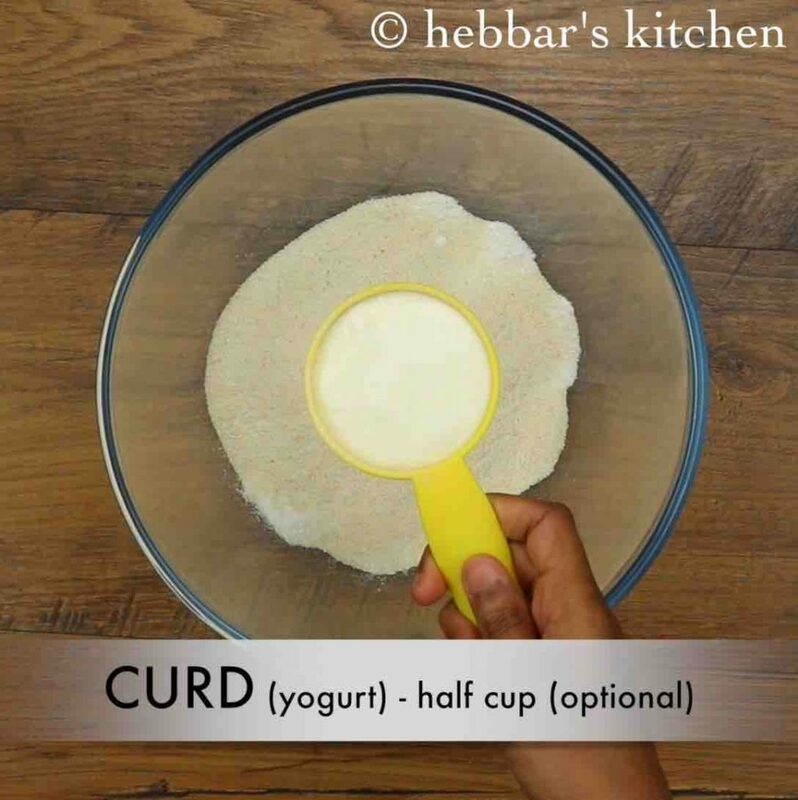 also add ½ cup curd. adding curd is optional, however it enhances the flour. 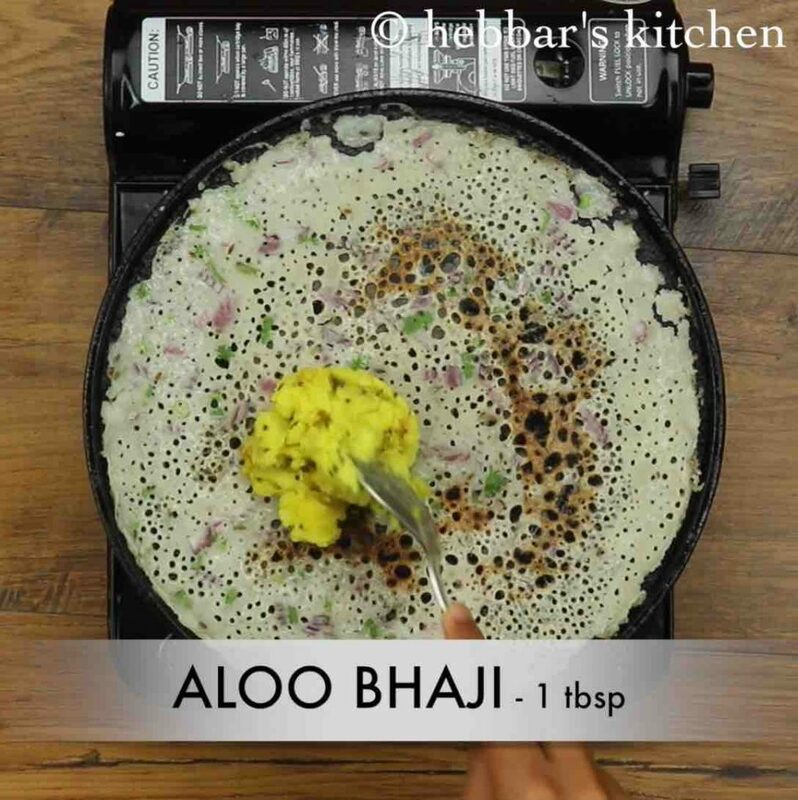 add 3 cups of water or as required and prepare a flowing consistency batter like of rava dosa. else the dosa will not be crisp. make sure there are no lumps in the batter. and rest the batter for 20 minutes. 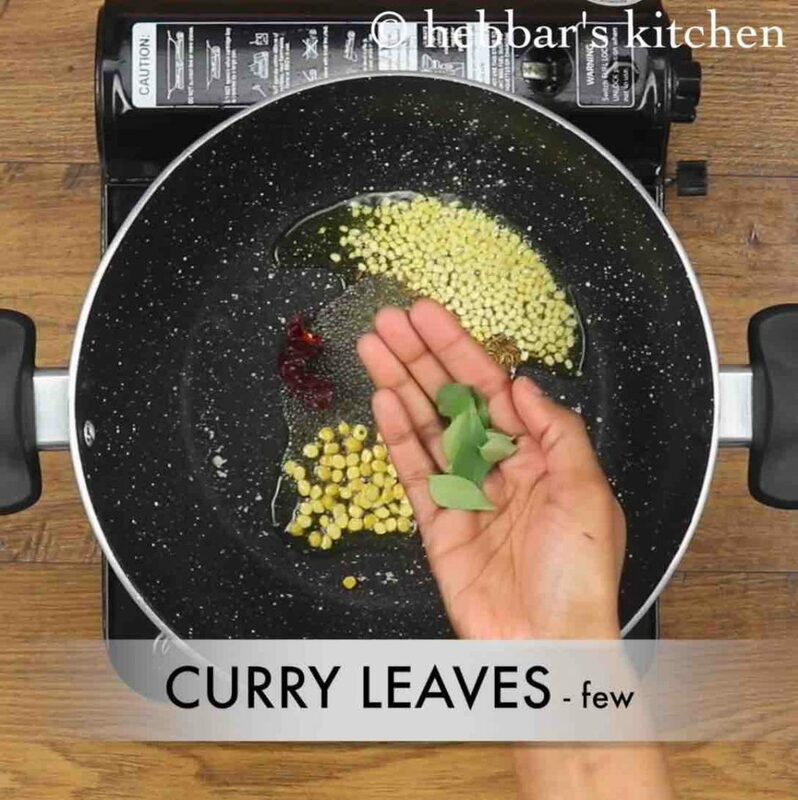 firstly, in a kadai heat 2 tsp oil and add 1 tsp mustard, ½ tsp cumin, 1 tsp chana dal, ½ tsp urad dal, pinch of hing, 1 dried red chilli and few curry leaves. 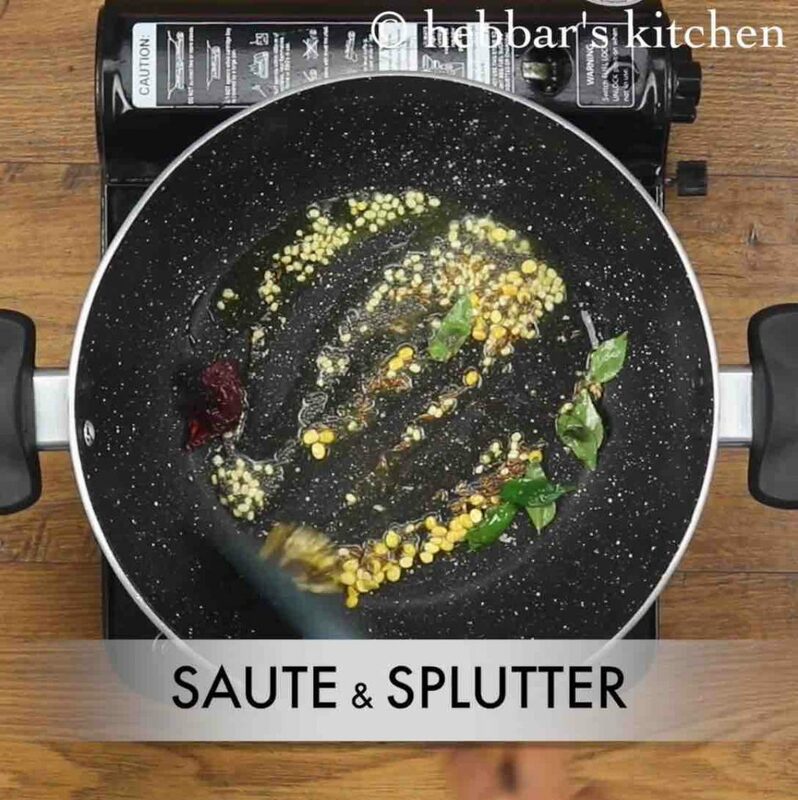 saute and allow to splutter. 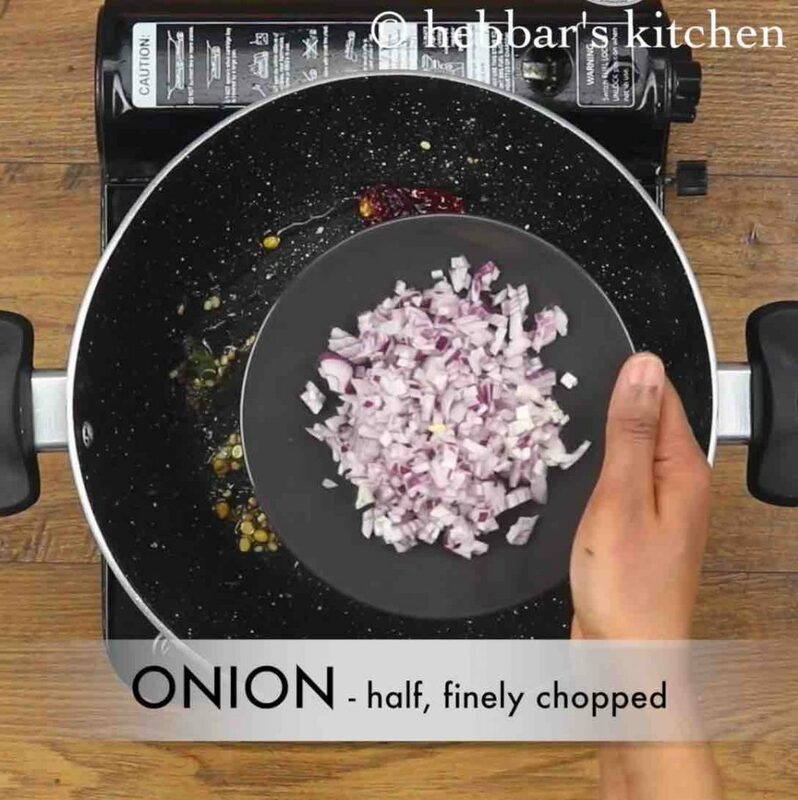 further add ½ onion, 1 green chilli and 1 inch ginger. saute well. 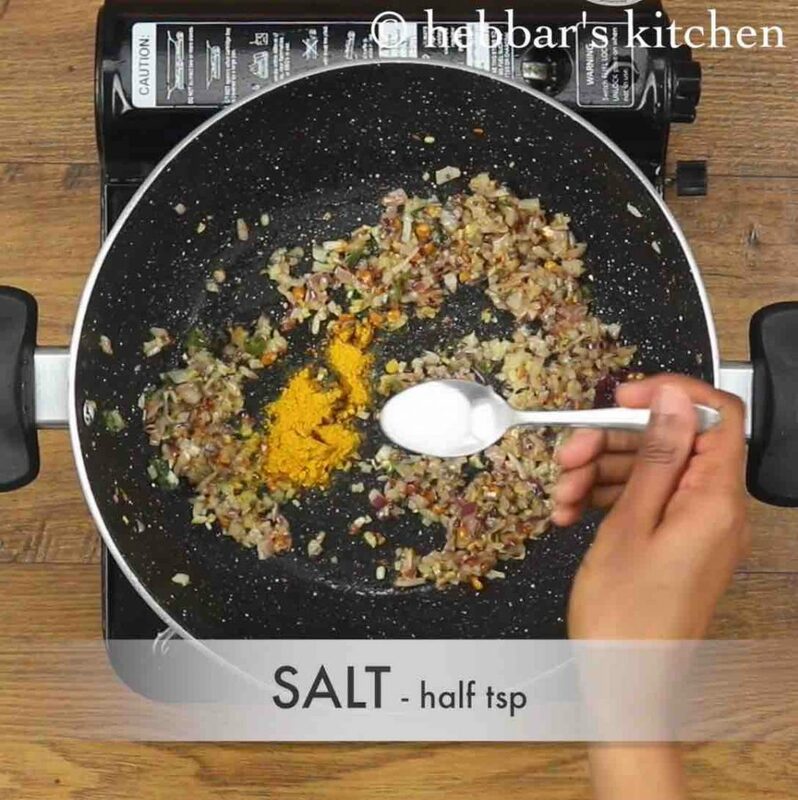 additionally add ½ tsp turmeric and ½ tsp salt. mix well. now add 3 boiled and mashed potato. combine well. 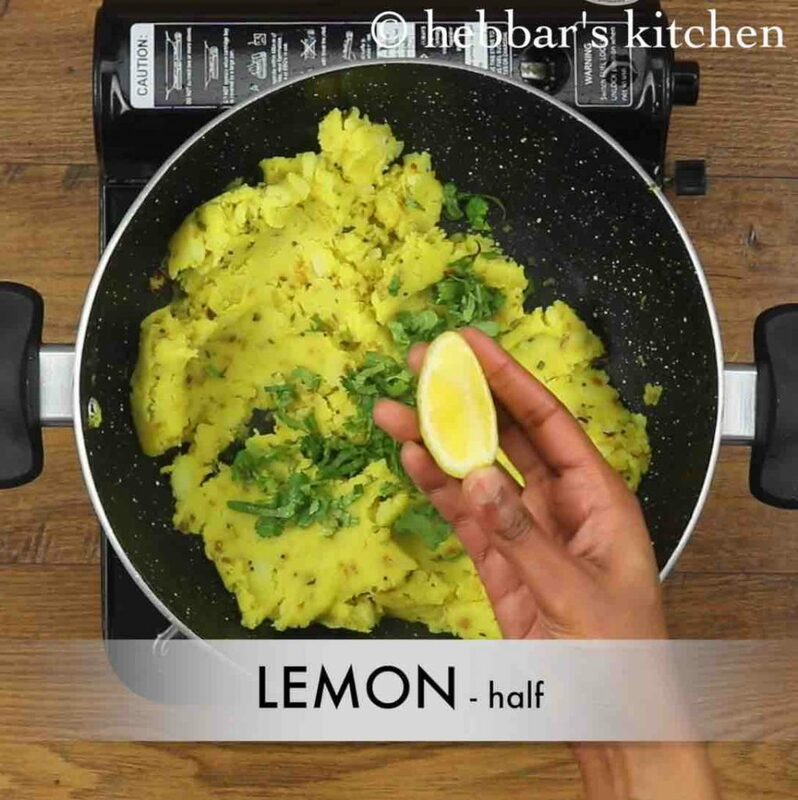 turn off the flame and add 2 tbsp coriander and ½ lemon juice. 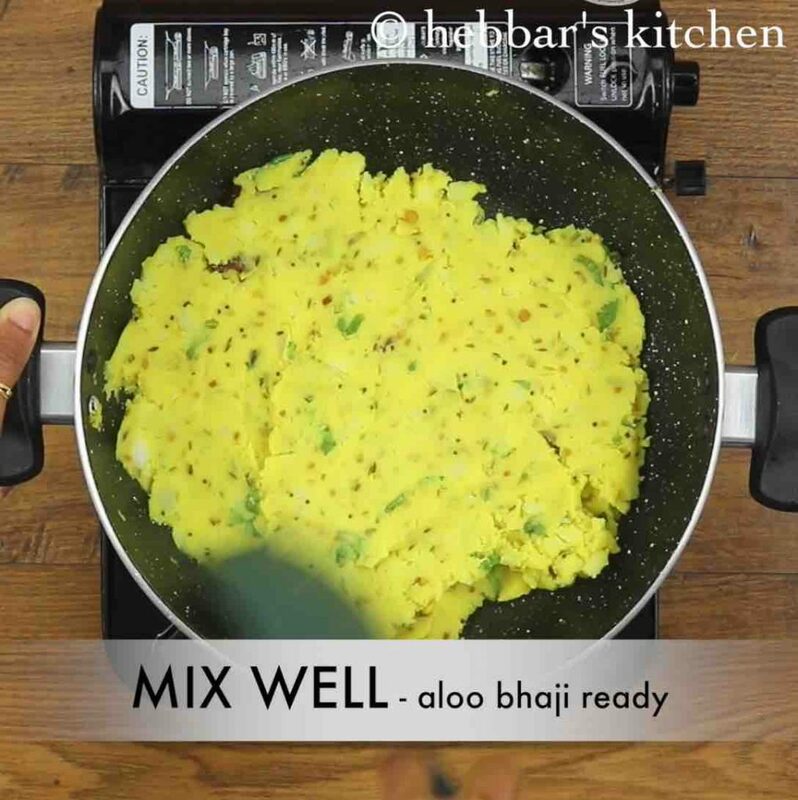 finally, mix well and aloo bhaji is ready to prepare instant oats masala dosa. now check for consistency of batter and add more water if required. 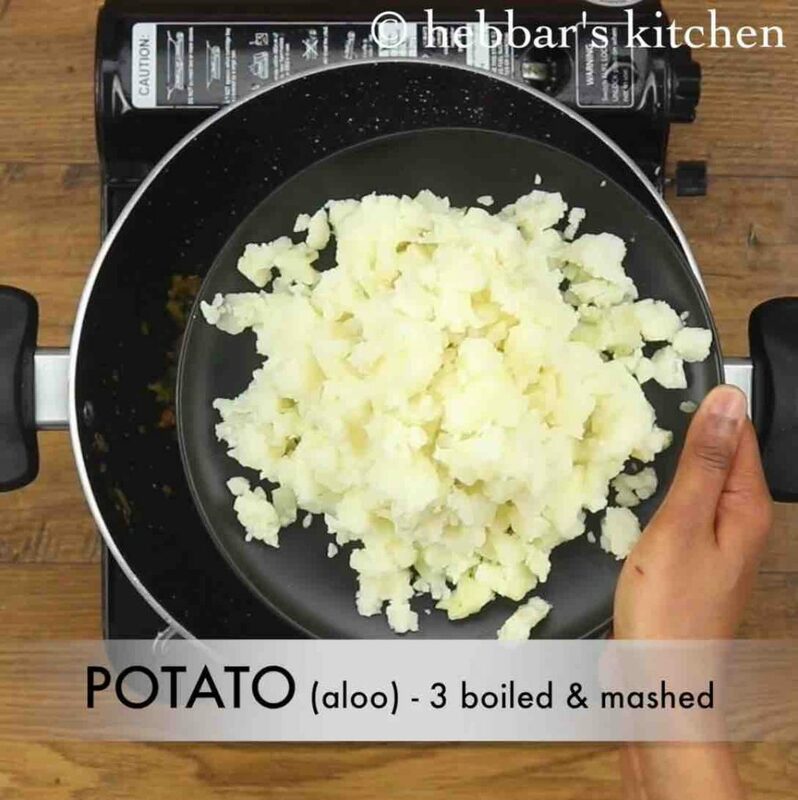 once the dosa roasts to golden brown, add in a tbsp of prepared aloo bhaji. 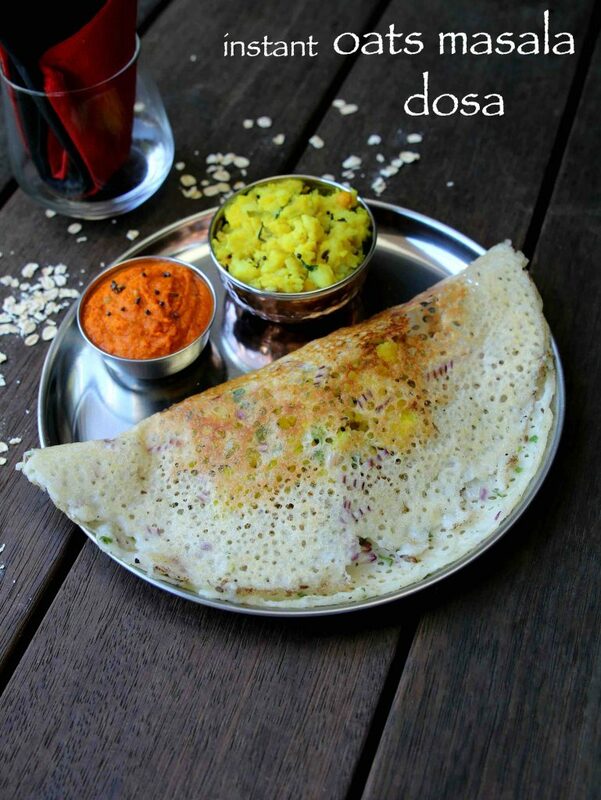 finally, fold the dosa to half and serve instant oats masala dosa immediately with coconut chutney or carrot chutney. firstly, adding curd is optional, however it enhances the flavour of dosa. 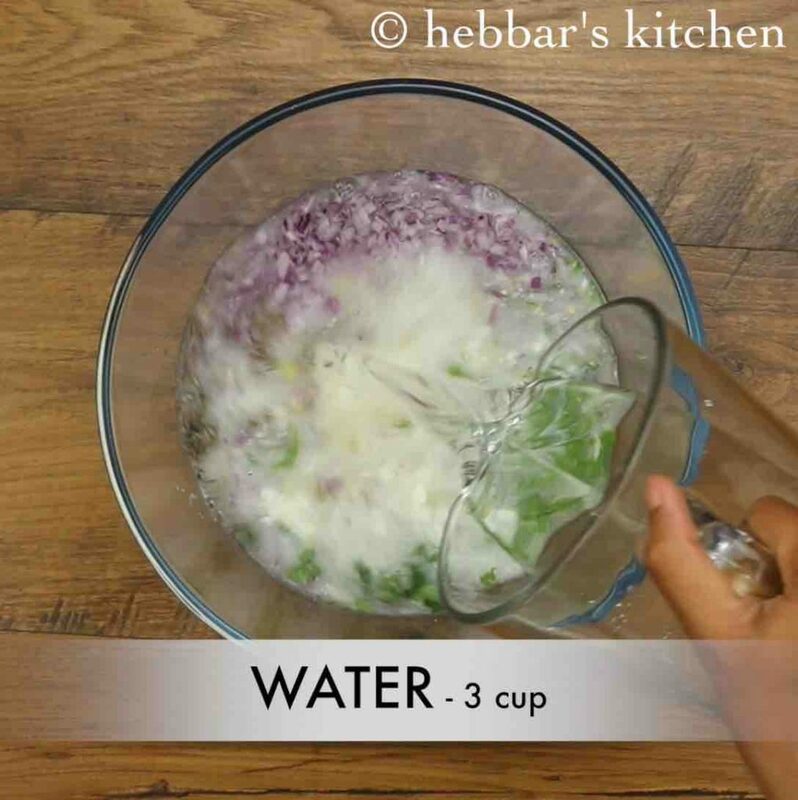 also, add enough water to get the pouring consistency else your dosa will not be crispy. most noteworthy, if your dosa is not crisp or turning very thick, do not worry. just add half cup of water and give a good mix. finally, i recommend you to use cast iron dosa tawa to prepare instant oats masala dosa. I tried it exactly as mentioned. My dosa is very soft and not crispy at all. what kind of dosa pan do you use? I have tried aloo gobi sabzi and keari bath made for sathyanarayana pooja which came out very nicely, got appreciation thanks a lot. I am gona try this dosa today.